If you’re planning to retire to Florida because you want to live in a place where the climate allows you to go boating, fishing, and sightseeing practically year round, you’re hardly alone. Many retirees flock to the Sunshine State, not only because of the weather, but also because of the state’s abundance of lakes and rivers and the promise of endless aquatic adventures. An active lifestyle is important for older adults, whether they plan to retire to Florida or simply cut back on their work hours and enjoy more time for recreational pursuits. But an affordable lifestyle is important, too. 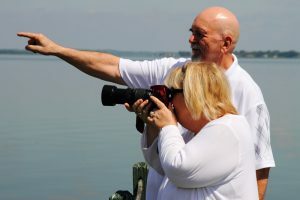 And that’s what makes Lake Griffin Harbor, a gated waterfront community for adults 55 and older in Leesburg, FL, such a great opportunity for people of retirement age. Located on the edge of sprawling Lake Griffin, this community of high-quality manufactured homes makes an active Florida lifestyle affordable for many people, even on a retirement budget. Health care – Leesburg sports a first-rate medical center and an abundance of home health agencies and doctors’ offices. Plus, some of the state’s top research hospitals and specialty treatment centers are about an hour away. Sightseeing opportunities – Lake Griffin Harbor’s Central Florida location puts our residents an easy day trip away from some of the state’s best-known theme parks and other attractions. Professional on-site management – Our community is professionally managed by a team from Blair Group, an award-winning developer of 55-plus communities. If you’re planning to retire to Florida, you’ll want to put Lake Griffin Harbor on your list of retirement communities to visit in person. Contact us today for more information and to schedule a tour.